Throughout 2018, Hollis Cobb representatives and managers have found that often the terminology on both healthcare statements and explanations of benefits confuses patients. In order to equip our staff to provide maximum assistance to the patient populations with whom we work nationwide, our training department has enhanced the continuing education provided to Hollis Cobb employees. Trainers are now specifically addressing the areas in which patients seem to be most confused, and are training our staff to, not only collect money, but to explain to patients why the money is owed. Many times patients do not understand the difference between co-insurance and co-pay. They tend to recognize co-pays as the amount paid at the time of service, but forget that their insurance plans may include a co-insurance amount, or cost sharing for health services, which is a percentage due from the patient after the deductible is paid. Patients do not always realize how high their deductibles are. 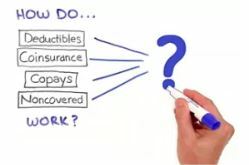 They focus on their monthly premiums, but until they have a surgery or other high cost procedure, they do not realize how difficult it can be to pay the entire deductible at one time. Additionally, patients tend to be uncertain about the difference between a deductible and out-of-pocket maximum. They sometimes do not realize that the deductible may not be one amount for the entire family, but an amount per person, until the family reaches the out-of-pocket maximum. Elderly patients can be particularly confused about what Medicare Parts A, B, C and D cover. Our training staff has taught Hollis Cobb representatives how to explain to patients that Medicare A primarily covers inpatient hospital stays, B covers labs and physician charges, Medicare C plans combine hospital, physician and sometimes drugs, and D is for prescription coverage. Our staff has learned how to explain these healthcare terms to patients in language they can easily comprehend. Once patients understand what and why they owe a balance, they are more likely to pay or set up a payment plan. It is vital that patients understand why they owe a balance and what it is for, as even collections is part of the total patient experience. The Hollis Cobb Training Department is constantly reviewing patient calls, coaching representatives and looking for ways to provide the best possible service to our clients and the patients they serve. At this time of year, the management of Hollis Cobb Associates takes time to celebrate our dedicated employees and loyal clients who together have made our tremendous success possible. This year we have added new clients across the U.S., and expanded services provided to our existing clients. We appreciate the trust our clients have placed in us, and the exceptional work performance of our staff which helps maintain that trust. The leadership of Hollis Cobb wishes all of our clients and employees a safe and happy Thanksgiving holiday. Executives and Directors from Hollis Cobb took part in The WellStar Foundation Sixth Annual Clay Shoot, helping to raise $85,000.00 that will go toward advancing healthcare services in the communities served by WellStar facilities. Hollis Cobb Chairman, Alan Cobb, CEO, Greg Hocutt, and Senior Directors, Shellye Cummings and Joshua Best joined over 150 other WellStar supporters at the Foxhall Resort and Sporting Club in Douglasville for the annual event. One of the WellStar Foundation’s numerous yearly fundraisers, the Clay Shoot offers an opportunity for community partners to come together in support of key initiatives that will ultimately improve patient care and overall community health programs, while allowing for a friendly competition at the beautiful and scenic Foxhall Resort. this philanthropic organization staffed by volunteers, 100 percent of the donations raised go toward achieving the health system’s vision of providing world-class care and advancing the level of healthcare provided in the communities WellStar serves. Leaders at Hollis Cobb are always ready to support our clients as they work to expand and enhance the healthcare services they deliver in their communities, and as they strive to provide an excellent patient experience. This year our employees got even more creative with their costumes and decorations at each of our locations. Thanks to everyone who participated and those behind the scenes helping to organize it all. The winning costume group was a warden and her inmates from the HCDC (Hollis Cobb Department of Corrections). The QA team won for best decorated work space. Individual winners were Ivana Strothers the Starbucks drink, Karone Edge aka Fred Flinstone, Cornesha Callins as Batgirl, Shamiah Hill, Felisa Williams, and Alexis Jones. Take a look and decide which one you like the most! Congratulations to Shareef Macintosh and his Dream Team of employees on their successful Customer Service project for one of our clients. Thanks to his team’s hard work, the client has been able to almost double the number of calls answered and resolved each day, which has greatly improved the patient experience for their facilities. The team’s efforts have cut the client’s call abandonment rate by 75%. Hollis Cobb’s Customer Service product was developed to help clients more effectively manage their revenue cycles and generate more dollars. Changes in the healthcare insurance arena have caused hospital customer service departments to experience a large influx of phone calls that has not subsided. From patients upset with their large deductibles that are due, to patients confused about their coverage and others unaware of which providers are in network and which are not, have caused hospital customer service departments to be bombarded with calls. Many do not have the budget to hire additional customer service staff; therefore they have reached out to Hollis Cobb for help based on our success with our Customer Service product. The 2018 National Patient Financial Services (PFS) Week took place October 14-20, and Hollis Cobb Associates helped clients nationwide celebrate the yearly event. Showing our appreciation to our valued clients, we catered breakfasts and lunches for PFS staffs at provider facilities all over the country. National PFS Week was started on October 18, 1989 by a proclamation from the U.S. Congress when AAHAM (American Association of Healthcare Administrative Management) petitioned Congress to officially recognize healthcare administrators and their hard work in support of provider facilities and patient populations throughout the nation. It is a tradition for Hollis Cobb to spend this week recognizing our clients and showing our appreciation as they continue to put their trust in us for many of their revenue cycle needs. Our clients are creative in the ways they recognize their staffs and celebrate PFS Week. The event is covered in provider newsletters as well as in local newspapers. High achieving provider employees are often recognized as well as departments that work together as a team to improve the Patient Experience. Many of our clients come up with themes for the week and decorate their offices, organizing contests between departments. The management and staff of Hollis Cobb is always happy to help our clients celebrate PFS Week with much deserved recognition, prizes and treats. We treasure our clients as they are more than business partners – they are our friends. We’ve Got Two Tickets to Paradise! No, seriously. Hollis Cobb is exhibiting at this year’s AAHAM ANI in Bonita Springs, Florida, and two of our employees have their tickets to be there representing us. The theme is “Your Ticket to Paradise and our 50th Golden Anniversary.” It starts on Wednesday, October 17 and ends on Friday, October 19. Providers are encouraged to visit as many booths as possible. Those visiting every booth and getting signatures will receive 5 continuing education units (CEUs) and are entered into the raffle for a free ANI registration and one hotel room night at the 2019 ANI in Las Vegas! Hollis Cobb is offering an additional bonus for visiting our booth. The first 75 providers to stop by booth 200 will receive a free Yeti mug! One of the most time-consuming tasks in hospital revenue management is the resolution of payer denials. According to the American Hospital Association (AHA), denial rates range from 5% to 10% in most health systems, and a rate of lower than 5% is considered manageable. Health systems today struggle to keep enough full time employees on staff to work through and resolve all the various payer denials, which at the end of the day impacts their bottom line. Our clients have reached out to us to assist with the ongoing challenge of managing technical and clinical denials. When our clients are unable to staff enough full time employees to handle the increasing number of clinical and technical denials, we provide skilled, experienced AR Analysts who can work, either onsite at our the client’s facility or remotely from our Atlanta office. With remote access to our client’s systems, we are able to provide staff at an hourly rate to resolve denials, and we cover all benefits and management of the staff we provide. Small balance claims with these types of technical denials, in particular, can be processed more cost effectively when outsourced. Hollis Cobb staff work hand-in-hand with hospital nurse auditors and coders to get medical necessity denials resolved faster and more efficiently. Helping our clients manage their denials is just one more way Hollis Cobb has expanded our services to meet our clients’ ever-changing needs in revenue cycle management. According to the American Psychological Association (APA), stress in the workplace has become a major drain on the American worker and a source of a variety of health challenges. The APA’s annual Stress in America survey identifies the workplace as one of the main sources of stress for many Americans. The organization recommends that individuals keep a journal for a few weeks to identify and track stress points. This is a first step in fighting stress and its effect on the mind and body. Noting responses to stressful situations in a journal can help individuals find healthier ways to respond to the people or circumstances causing the stress. The Mayo Clinic recognizes work stress as a cause of numerous health issues in America and recommends several coping strategies. Never having enough time in the day to accomplish all that is required is one of the top challenges faced in the workplace each day. Managing time more effectively is the best way to get the most out of each day. Setting realistic goals, expectations and deadlines, and sticking to a well-thought out plan can help alleviate stress by increasing productivity during the work day. Working with supervisors to establish goals, scheduling progress reviews and adjusting goals as necessary are good ways to stay on track to meet deadlines. Along with setting goals, keeping a priority list and checking off each completed tasks gives a sense of accomplishment and eases stress. Important projects require uninterrupted concentration, and that means blocking out time to focus completely on the projects without checking emails or taking phone calls. Breaking large projects into smaller steps helps to make the task less overwhelming and stressful. Watching the diet carefully has more impact on stress levels than many people realize. Just avoiding these top 5 stress causing foods can make a noticeable difference in anxiety, stress, moodiness and energy level. Refined Sugar causes blood sugar levels to fluctuate which contributes to feelings of anxiety. Artificial sweeteners can cause headaches, mood swings and cravings for more sugar. Processed carbohydrates have no nutritional value, and tend to cause blood pressure to increase which adds to stress symptoms. Alcohol can promote relaxation in small amounts. One glass of wine is usually not harmful, but more than that causes disruption in sleep patterns. Caffeine in excess overstimulates the adrenal glands causing a rise in heart rate and blood pressure. Blueberries contain antioxidants and phytonutrients which help improve the body’s response to stress, and boosts the immune system. That makes these berries a delicious pick me up in the afternoon. Pistachios have heart-health benefits and tend to reduce blood pressure and heart rate which in turn lowers stress levels. Dark chocolate has been shown to reduce the stress hormone cortisol, and the antioxidants in cocoa trigger the blood vessels to relax which improves circulation. Seeds high in magnesium, such as flaxseed, pumpkin seeds and sunflower seeds, help alleviate depression, fatigue and irritability. Cashews are loaded with zinc, a mineral that studies have shown reduces anxiety. As a bonus, cashews are rich in Omega-3s and protein. It may seem like the average overworked employee does not have time for a break, but in reality taking a break boosts energy levels and increases productivity. There are several break-time activities that can reduce stress and promote overall well-being. Energy levels, in part, depend on breathing, and practicing deep breathing exercises can improve the energy level by bringing more oxygen into the body. Deep breathing contributes to stress reduction and improved digestion – both of which are vital for a healthy immune system. In addition, deep breathing exercises enhance the mind’s ability to focus and concentrate. Exercises are simple. Inhale for 5 seconds, hold for 3 seconds, exhale for 5 seconds. Repeat 10 times. It is surprising how refreshing just a couple of minutes of deep breathing can be in the middle of a busy day. In conjunction with deep breathing, there are a wide variety of meditation applications available for Smart Phones. The daily meditation activities, lasting 10-15 minutes per day, can be done before leaving for work or during a lunch period or break. A brisk walk for 30 minutes per day, during lunch time or before work, while practicing deep breathing, has also been shown to reduce blood pressure and improve circulation, both of which contribute to stress reduction. Other stress reducing helpers include herbal teas and air-cleaning plants. Teas containing Chamomile, Ginseng, Kava and Lavender are known for their calming effects on the body and mind. Small desk plants like Lemon Balm, Golden Pothos, Philodendron and Spider Plants actually have the ability to clean the office air, according to studies conducted by NASA. These kinds of plants remove VOCs (Volatile Organic Compounds), which are unhealthy chemicals commonly found in office buildings. Work schedules are not likely to get easier; therefore finding ways to cope with stress in the work place is essential for maintaining good health and peace of mind. Hollis Cobb Floor Managers, Donna Allen and Dacent Lindo, are proud of the two collection teams who exceeded their goals in August. The managers explained that each collector’s objective is to provide quality service to our clients by helping their patients resolve their past due accounts as quickly as possible. “Our teams’ professionalism is what makes them successfully hit their challenging goals month after month,” Ms. Allen said. As Hollis Cobb continues to grow, both in clientele and service offerings, the staff’s commitment to excellence will be what makes us stand out among our competitors as we continue to exceed our clients’ expectations.